1. Wang Jianlin, Chairman of China's property and entertainment giant Dalian Wanda Group, has overtaken Hong Kong's Li Ka-shing to become the richest Chinese in the world, according to the new Hurun Rich List. Wang's wealth increased more than 50 percent year on year to 260 billion yuan (40.6 billion U.S. dollars) as of early June. Hong Kong tycoon Li Ka-shing, 87, was the second richest with a fortune of 200 billion yuan and Jack Ma, founder and chairman of Internet giant Alibaba, was named third richest with wealth of 165 billion yuan. 2. The Reserve Bank of India granted its in-principle approval to setting up Payments Banks to 11 entities. These are Aditya Birla Nuvo, Airtel M Commerce Services, Cholamandalam Distribution Services, Department of Posts, Fino PayTech, National Securities Depository Ltd (NSDL), Reliance Industries, Tech Mahindra, Vodafone m-pesa, Dilip Shanghvi and Vijay S. Sharma. The two individuals to get RBI’s approval – Dilip Shanghvi and Vijay S. Sharma, are associated with Sun Pharma and Paytm respectively. Payments banks will be the entities which will be mainly involved in remittance services and will be allowed to accept deposits up to Rs. 1 lakh but cannot lend. They can also issue debit cards and offer internet banking but will be not allowed to issue credit cards. 3. Manasvi Noel of Mississauga city has been crowned Miss India-Canada 2015 at the 25th edition of the annual beauty pageant organised in Toronto, Canada. The Dubai-born Noel won the esteemed title among the final top contenders of this event. In the event, bollywood actress Preity Zinta was also presented with the Special Achievement Award for her contribution to Indian and international cinema. 4. 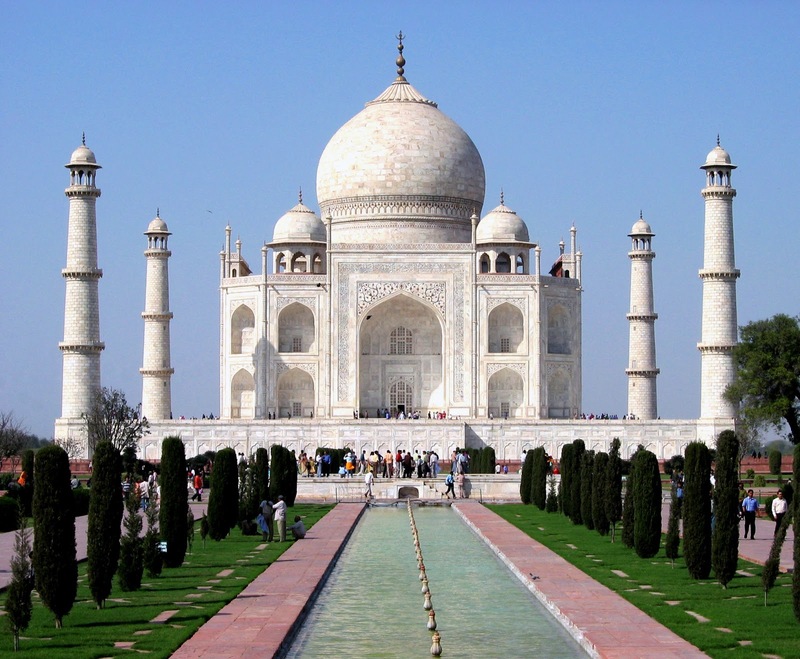 Taj Mahal has made it to the top five of a prestigious new list of the world's best tourist attractions. Travel Guide Book Lonely Planet's ‘Ultimate Travelist’ list ranks the Taj Mahal built in Agra by Mughal emperor Shah Jahan as the fifth most attractive travel hotspot in the world and describes it as a "magnificent Mughal masterpiece". The Temples of Angkor Wat, a UNESCO World Heritage site in northern Cambodia, tops the list. The Great Barrier Reef in Australia comes in at number two, the Inca city of Machu Picchu in Peru at number three, and the Great Wall of China at four. 5. In a move set to further strengthen education ties with India, Australian government appointed former cricketer Adam Gilchrist as nation's inaugural ambassador to India on education. The announcement was made by the Minister for Education and Training Christopher Pyne prior to attending the Annual Ministerial Dialogue and third Australia-India Education Council meeting in New Delhi. 6. Pakistan and Russia signed a landmark defence deal that includes the sale of four Mi-35 'Hind-E' attack helicopters to Pakistan. The agreement was signed by top defence officials from Pakistan and Russia in Rawalpindi. Pakistan will use these helicopters in its anti-terrorist campaign. 7. United National Party (UNP) led United National Front for Good Governance (UNFGG) coalition with 106 seats emerged as the winner in the 2015 Parliamentary elections of Sri Lanka. But it failed to secure absolute majority in the Parliament of 225 members. UNP led by incumbent Prime Minister Ranil Wickremesinghe emerged the winner with his alliance taking 45 percent of the vote cast, or about 51 lakh votes. The main opposition party the United People’s Freedom Alliance (UPFA) that is an alliance led by Mahinda Rajapaksa was able to secure 95 seats with 42 percent of votes. 8. Bangladesh-born British citizen (novelist) Zia Haider Rahman won Britain's oldest literary award the James Tait Black award 2015 for his debut novel ‘In the Light of What We Know’. He received this prize during the 2015 Edinburgh international book festival. 9. Veteran actor Anupam Kher has been appointed as the UN ambassador of the 'HeForShe' campaign for gender equality. The 'HeForShe' campaign has been initiated by UN Women. Its goal is to engage men as agents of change for the achievement of gender equality and women's rights, by encouraging them to take action against inequalities faced by women and girls. 10. Raffi Freedman-Gurspan is the first openly transgender White House staff member, appointed by President Barack Obama. She was a former policy adviser at the National Center for Transgender Equality and will serve as an outreach and recruitment director in the White House Office of Presidential Personnel. This is one of several steps the Obama administration has taken to show support for the LGBT community.